The Eccentric Family , which adapts the novels of Tomohiko Morimi, is directed by Masayuki Yoshihara and features animation production via P.A. Works. The story focuses on the Shimogamo family, which is comprised of shape-shifting tanukis, in a fictionalized but superbly rendered Kyoto which is also inhabited by tengus and humans. The Eccentric Family is, above all things, about familial relationships: the good, the bad, the ugly, and the really, really strange. 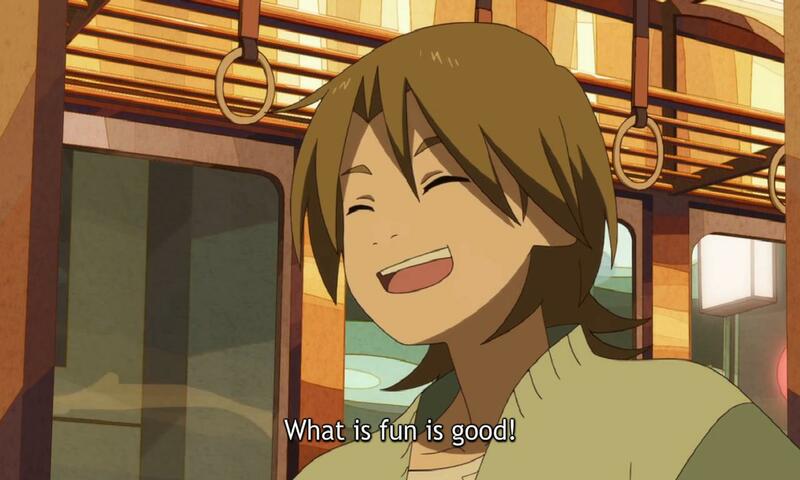 Listen to Jared and Ink and special guest Helen as we talk about what it means to own your idiot blood — what works and what doesn't in seasons 1 and 2 of The Eccentric Family . The Eccentric Family Season 1 and Season 2 are streaming on Crunchyroll. Helen writes for Narrative Investigations and podcasts via Manga In Your Ears and OASG's lengthily named audio stream.